Saturday is usually a good day for some walking fun, adventure and a treat. 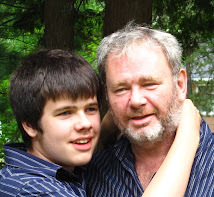 Today Conor and Dad hit the trail, crossed the Westmorland Street Bridge and headed home. We made time on the other side of the river for a treat stop (including Dad's coffee) at the Second Cup in Kings Place where Conor, even when he gets a bit loud, has always been warmly received. If you follow the CBC's irresponsible promotion of the joy of autism ideology (Rethinking Autism, Positively Autistic) you wouldn't know that autism disorders are actually mental disorders that mean very difficult lives for those with low functioning autistic disorder. In Australia an all too common example of autism reality is reported by Michelle Hoctor in Autism sufferer dealt a double blow. Ms Hoctor describes the autism reality of Kate Southern, 35, who lost her mother and primary carer to brain cancer earlier this week. Now she is due to be relocated to a group home in a location some distance from her remaining family members. After visiting and viewing the group home Ms Southern has begun tearing her hair out in clumps. 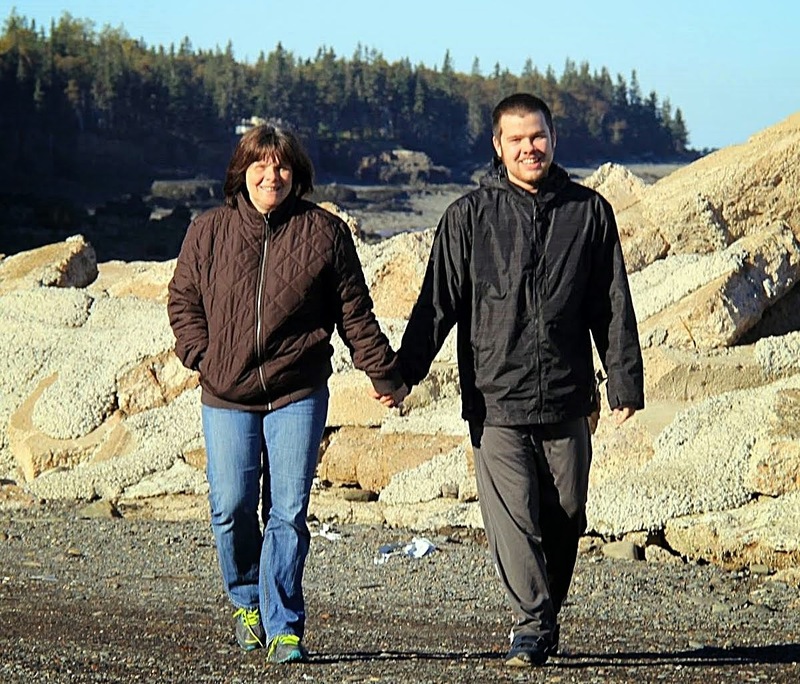 The challenges faced by Kate Southern are not uncommon to severely autistic persons. 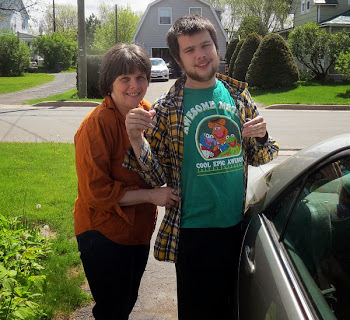 They occur here in New Brunswick Canada where an inadequate residential care system for autistic adults results in adults living on hospital wards, shipped out of the country or living in group homes with untrained staff, one of which recently closed on 24 hours notice. The realities of autism aren't discussed much by the Toronto art gallery crowd at the Canadian Broadcasting Corporation that like to promote the autism is beautiful ideology of a few persons with Aspergers and High Functioning Autism. Maybe someday the CBC "journalists" will Stumble Upon stories of lower functioning autistic persons like Kate Southern in Australia or Tiffany Pinckney in Toronto. Maybe they will get away from their desks and examine all aspects of the autism spectrum of mental disorders. Maybe the CBC "journalists" will discover the autistic persons who don't appear several times a year in media interviews because they live in residential and institutional care and can't communicate or understand the ideology that says that Autistic Disorder is not really a disorder after all. Maybe, but I won't hold my breath waiting. I will thank Michelle Hoctor and IllawarraMercury.com for some real autism reporting. Stoney Creek News reports that the Canadian "National" Autism Foundation was honored for its financial contribution to autism research at the Hamilton Health Sciences Foundation Donor Recognition Event last month. The CNAF was honored for a contribution of $12,000 to autism research which will fund research by noted autism researcher Dr. Peter Szatmari director of the Offord Centre for Child Studies. In fact there are autistic people who would like to be cured. And there are many parents who desperately seek cures for their autistic children. 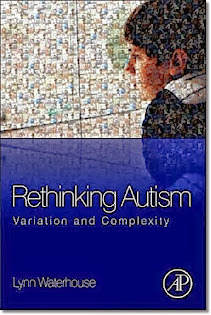 The anti-autism cure ideology is promoted by SOME high functioning autistic persons and SOME persons with Aspergers. There are many autistic persons who do not enjoy the intellectual and communication gifts of the anti-cure autistic leadership. There are autistic persons who will live their adult lives dependent upon the care of others, without jobs, families or even the ability to walk about safely in their communities without risk of harm, even fatal harm, to themselves. If Ms Fougere followed autism news at all she would know that there are regular accounts of autistic children going missing. Sometimes they end well as they did yesteday in New Orleans. Sometimes they do not. Ms Fougere should also understand that some autistic children require tertiary level rehabilitation services because of severe self injurious behavior like brain injury resulting from severe head banging, self inflicted bite wounds, self starvation and so on. For some families as severely autistic children grow up they become too much for aging parents to care for and they are given over to the care of the state. For many autistic persons and their families autism research, contrary to Ms Fougere's ill considered remarks, is about finding a cure for a serious neurological disorder. 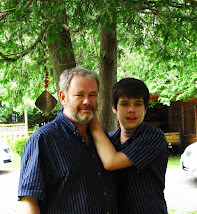 My son has profound developmental "delays" associated with his Autistic Disorder diagnosis. He is a great joy and blessing in my life. I love him with every ounce of my being. But he can not be left unattended to wander away on City streets. Today he can be overwhelmed by busy shopping mall or mainstream classroom environments to the extent that he hurts himself with biting or hitting. His life prospects after I can no longer care for him will be those of residential care by strangers. 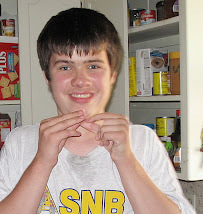 Ms Fougere and the Canadian "National" Autism Foundation do not speak for my son when they say that autism research is not, or should not, be about finding a cure. This "National" Foundation which I have never heard of in this part of Canada did not consult my son or me before offering their anti-autism cure opinions. If an effective, safe, cure became available I would want it for my son, so that he could live as independent, full, safe and rewarding a life as possible. He is unable to offer an opinion on the subject but I speak for him as his father and caregiver. 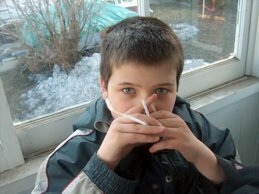 Tina Fougere, and the Canadian "National" Autism Foundation do not. What a reason to give thanks! 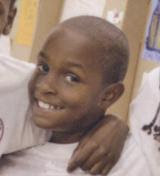 WDSU.com reports that Jack Engalade, an 11 year old autistic boy, has been found safe and in fine condition despite being missing and wandering New Orleans streets for five days. The WDSU site has a video clip of Jack home with his family on Thanksgiving. up at Jumbo Video where Conor indulged in a Gumball treat. WWLTV reports that the New Orleans Police Department is looking for Jack Engalade an 11 year old autistic boy missing since Sunday. Jack is 5 feet 2 inches and weighs 105 pounds. Anyone with helpful information is asked to contact the New Orleans Police Department. Let us all hope for the best. Your gutless anonymous comment was not posted to this site. Feel free to continue submitting such cowardly, snivelling little attacks though. I enjoy reading them; knowing you are cowering in anonymity down under. Have a good day bloke, mate, sheila ... or whatever you are. 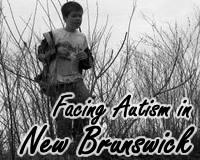 Facing Autism in New Brunswick has been honored with a nomination for a Canadian Blog Award in the Best Health Blog category. It really is, without any false modesty, an honor just to be nominated alongside the other excellent blogs in this category. There will be 2 rounds of voting. First round voting is under way. If you would like to vote you can do so at Canadian Health Awards Best Health Blog. 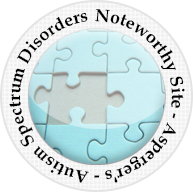 While it is important to understand if autism is affecting any group of children disproportionately, it is also important to keep in mind that there are likely multiple causes of the autism spectrum of disorders. Most scientists agree that today's research will show that a person's genetic profile may make them more or less susceptible to ASDs as a result of any number of factors such as infections, the physical environment, chemical exposures, or psychosocial components. Autism research is poised for another paradigm shift, from an irreversible condition to a treatable disease. 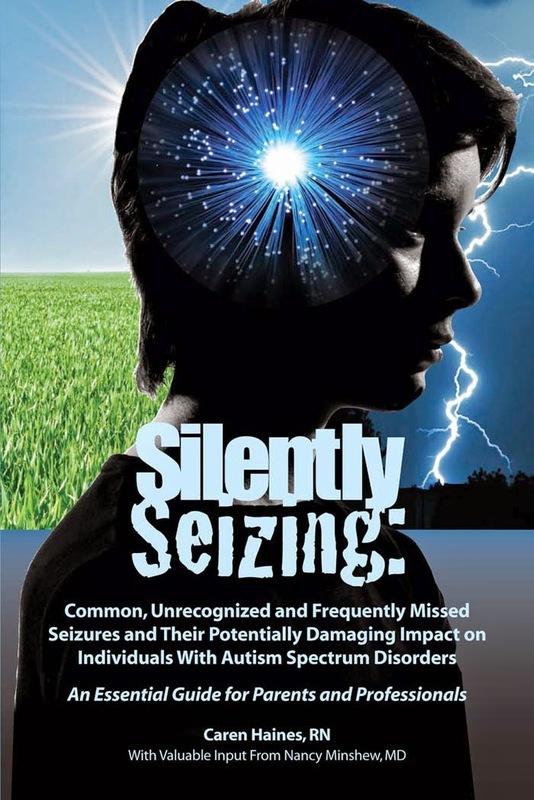 In the revolutionary paradigm, autism is not a rare disorder with a constant rate but frequent condition with a rising incidence. 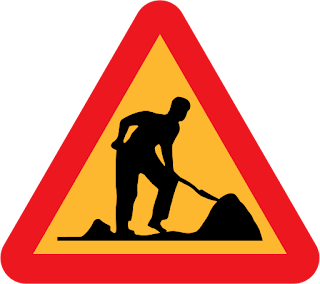 It is a combination of environmental influence and genetic vulnerabilities. It is both preventable and treatable, not by any one method but by a combination of behavioral and biomedical approaches. Autistic kids are not defective, they are sick but otherwise normal kids, and thus, recoverable. Creating a premier center for effective treatment of autism is not as simple as adding a new wing on a hospital, purchasing the latest medical technology or creating another diagnostic center. What is needed is a revolutionary clinical effort premised on the paradigm that autism may well be a treatable and preventable disease. The Autism Knowledge Revolution has been marked by dramatic advances in our understanding of the structural and genetic bases of autism. The autism research paradigm shift, a shift toward investigation of the interaction of genetic susceptibility and environmental triggers may well speed the pace of that knowledge revolution. Reactionary bloggers at the Autism Hub and Neurodiversity ideological movements will not be happy with the autism research paradigm shift but the maturing of scientific inquiry into autism, the movement past official defensiveness, may someday result in more effective treatment and cures. And those are autism realities that will be happily embraced by most parents of autistic children. Dr. James Neubrander, a physician, and Dr. Philip De Fina, a clinical neuropsychologist, of Woodbridge, N.J gave a lecture today on Staten Island in which they claimed that a hodgepodge of treatments - a combination of changes in diet, vitamin supplements, hyperbaric oxygen therapy and shots of methylcobalamin -- a form of vitamin B-12 -- has changed lives. As reported on silive.com the researchers claim to be able to change the environment of the brain to help normalize electrical chemical activity, which brings about positive change. The two alternative treatment researchers claim it could be decades before their theories are incorporated into mainstream science. Cost of treatment is expensive and is estimated to cost a couple of thousand dollars a month. Step right up folks; get your hodgepodge of alternative autism treatments here. 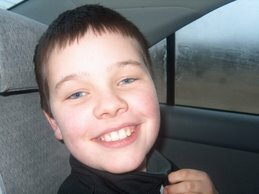 Conor had a long weekend again, because of teacher interviews/teacher association council days at the end of last week. Such extended breaks from school are difficult for Conor who apparently has been deceived by nefarious ABA trickery into thinking that he actually enjoys the ABA based instruction he receives in school. Hence, the perfect attendance he achieved last year as Middle School. Conor has, with ABA instruction, developed some reading skills but they are not yet on a level where he can understand the writings of Michelle Dawson (admittedly as a lawyer with 24 years experience I also have trouble reading, understanding and finding the evidentiary basis of Ms Dawson's essays and opinions). 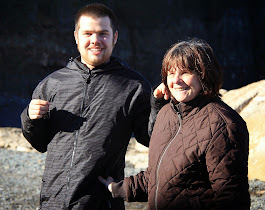 Without her objective input, (Ms Dawson's own opinions do not appear to be contaminated by any direct involvement with, or first hand knowledge, of ABA, or respect for the opinions of the hundreds of medical and education professionals and researchers who endorse ABA as an effective intervention for children with autistic disorders), Conor does not understand that his human rights, as an autistic person, are being violated by exposure to ABA abuse. Although Ms Dawson, diagnosed as "autistic", by someone, as an adult, does not indicate that she herself was ever abused by exposure to ABA that does not, in itself, mean that she does not know what she is talking about does it? Does it? Surely her lack of respect for the opinions of health care professionals who actually work with autistic children, including severely affected autistic children, providing ABA treatment to help reduce self injurious behavior and increase cognitive, communication and social skills (AAP, MADSEC, US Surgeon General) does not mean that Ms Dawson does not know what she is talking about does it? 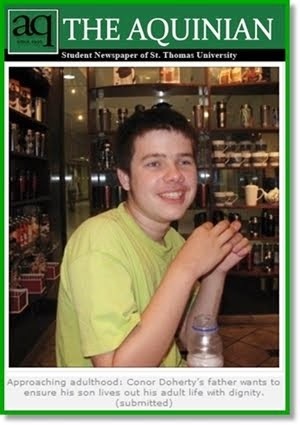 Michelle Dawson has said that the human rights of autistic persons like my son Conor are denied by exposure to ABA. His autistic essence as she would define it is being trampled and he is effectively being abused. After all Michelle Dawson says so. 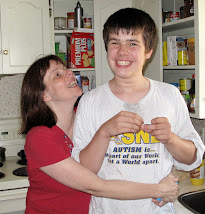 This may not seem like big news in the autism blogosophere but in my world, in Conor's world, it is huge. We often have to be very careful where we leave various items because Conor will play with, and sometimes dismantle and destroy, them. Just out of curiosity. Minutes ago Conor came running down stairs saying "Daddy phone" and handed me my cell phone which he knows I need. It may seem like a small thing for those debating the big issues of the autism wars but for me, and for Conor, it was a big moment.